Both Dr. Vincent Tam and Dr. Y.C. Wu were invited to give presentations in the Research Sharing Session held on April 25, 2017 from 3:00 – 4:45 pm in Room 503, Photonic Centre, Hong Kong Science Park to share about their research projects and results on various applications of advanced machine learning approaches. 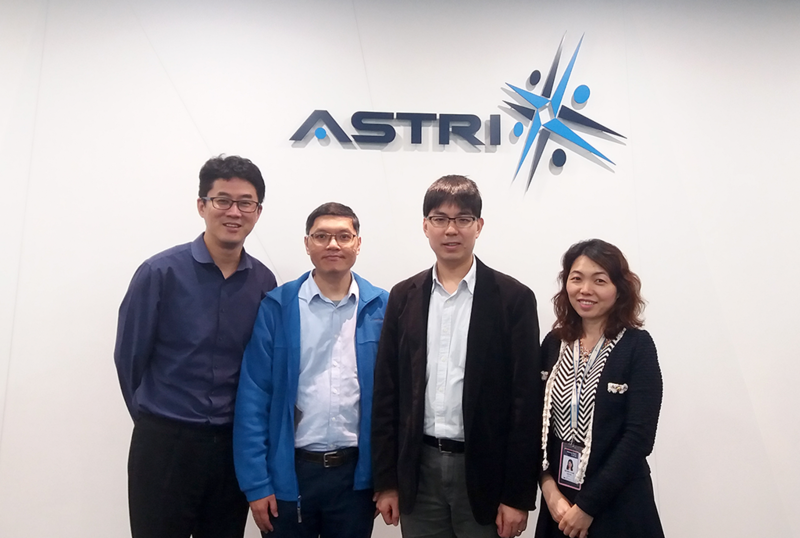 The sharing session was organized by the Technical Marketing Team of the Hong Kong Applied Science and Technology Research Institute (ASTRI) as an initiative of the HKU-ASTRI Joint Research Laboratory. The topic of Dr. Tam’s presentation is “An Investigation on the Plausible Impacts of Financial Sentiment Data for Computational Finance” while the topic of Dr. Wu’s talk is “Advances in Machine Learning Techniques with Applications to Communications and Image Processing”. 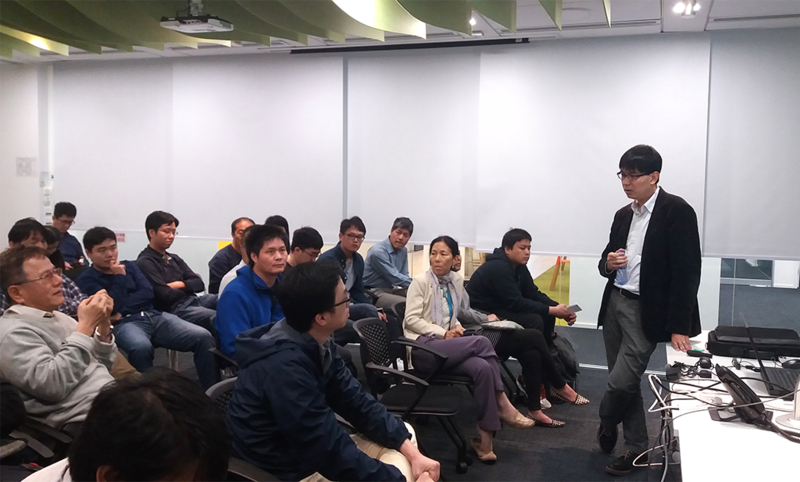 The sharing session was attended and well received by 40+ participants with senior engineers and researchers from ASTRI, Hong Kong Science Park and the local industry. After the sharing session, there were some interesting follow-up discussions with the participants. 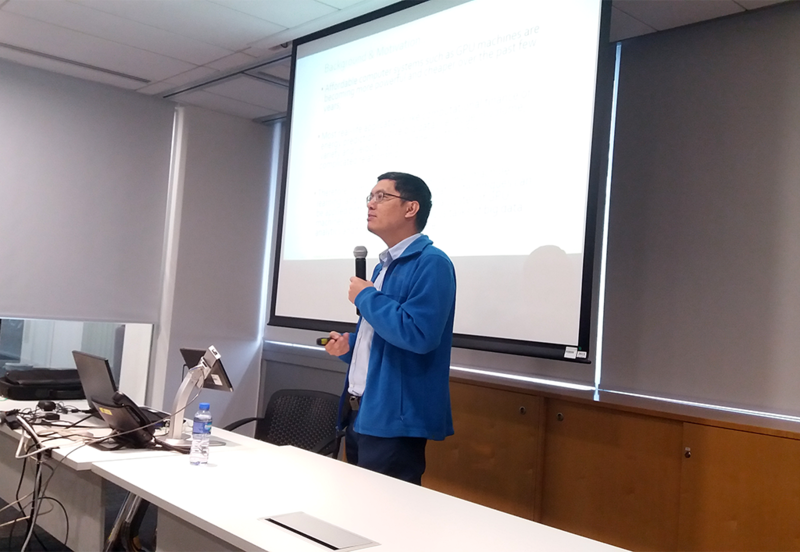 Dr. Tam gave his talk on sentiment analysis for Computational Finance. Dr. Wu shared his work and results on advanced machine learning techniques for communications and image processing. A group photo after the research sharing session.